There used to be a stall on Preston market that sold every single essential oil you could imagine and ylang ylang was one of the first that I tried out. I used my oils in a small diffuser with distilled water, heated by tea-light candles, to scent the living room. It remains to be one of my favourite scents, along with vanilla. A while back, I learnt about mixing essential oils to make unique aromas and my most successful was "Liquid Sunshine" to boost energy which incorporated peppermint, frankencese and bergamont. But I do like a change from time to time and I've recently been using a hand-crafted mix from Blended Valley to aid concentration and memory retention (I need all the help I can get now I'm knocking on a bit) which includes basic, bergamot,lemongrass, rosemary, juniper, pine, ginger and cedarwood. It's great to use in my electric room diffuser. But what Can You Do With Essential Oils? 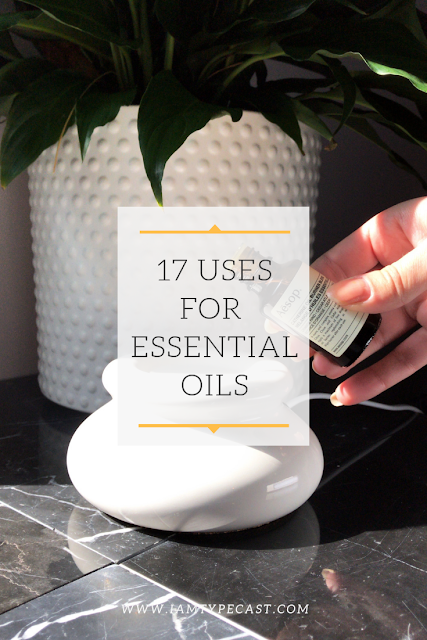 I want to do a bit more than just use my essential oils in a diffuser so I turned to my blogging community for some advice and they had LOADS of ideas. Laura explains that tea tree oil, mixed with a little conditioner and water in a spray bottle, works as a daily nit repellent on hair. I can also vouch for the fact that it helps piercings heal quickly and cleanly - this was on the recommendation of a professional. If you need help nodding off at night then Janice advises me that you can use lavender on your pillow to help and if any of you have a chest infection then Michelle recommends oregano oil. Mrs Hinch has a lot to answer for but you can definitely have a cacophony of scents all over the house. If you have cats and need them to stay away from your house plants or flower beds, Georgina uses orange, lemon or any other citrus-based essential oil diluted in a spray bottle. Wendy tells me that you can make your own room sprays whereas Georgina adds a couple of drops in the washing machine to make your laundry smell lovely. One top tip that I'm definitely going to use is from Sarah who recommends putting mandarin oil on a cloth and wiping it over the radiators - I can almost smell it from here!! Claire puts a few drops of her favourite essential oil onto a cotton wool ball and puts it in her vacuum cleaner bag whereas Erica does the same but in the bottom of her bin to keep it smelling nice. Finally, another vote for ylang ylang but this time it's in Kate's mop bucket! There were lots of suggestions for using essential oils in the bath. Nicola tells me that tea tree and lavender is known to be very relaxing so is great for people with anxiety or depression and Josie recommends using tea tree oil in the bath after giving birth as this will help with healing. 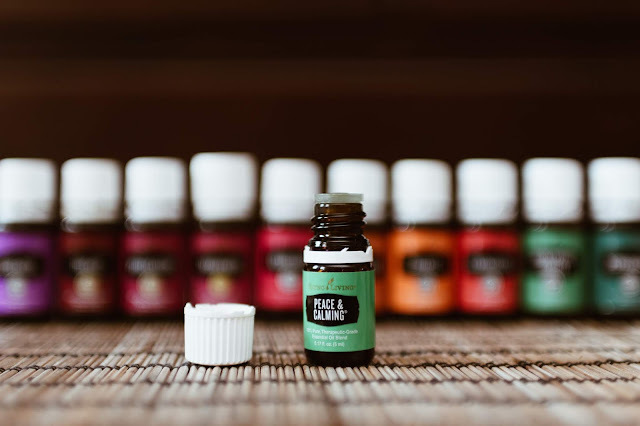 When you've finished your bath, Suzi says that you can make a great shower/bath cleaner with vinegar, diluted 2:1 with water in a spray bottle, with 10-20 drops of lemon oil and tea tree oil. Apparently, the smell of the vinegar soon disappears and it’s great at keeping mould at bay. Sophie says that you can easily make your own bath salts - she puts 3 scoops of salt and 6 drops of essential into a jar and seals it. I'm going to see which essential oil is best for muscles and use this after my next race! Veronica loves making her own bath soaps using essential oils and a glycerine soap base. But I've definitely saved the best until last - you really need to take a look at Maggie's Red Ted Art tutorial for making bath bombs. Even I could do this so I'm off to buy a silicone mould and I might even invite the grandchildren round for an afternoon craft session! What can you add to this list? Tell me how you use your essential oils. Disclaimer : I was sent a sample of essential oils from Blended Valley. You can download a free aromatherapy book from their website and also check our their free resources. Please view my disclosure policy for additional information about blog posts like this.